Red is about sacrifice, love, and the role Jesus played in saving us. In Black by Ted Dekker, Thomas is part of two worlds. One where he’s running from a gang he’s indebted to while trying to save the world from the next World War III–modern earth–and one where he lives in an Edenic paradise, so long as he doesn’t cross the bridge to the black forest, where red-eyed, flesh-eating bats live, the Shataiki. Both worlds are fascinating, each with its own unique plot that’s connected to the other. In the Edenic paradise world, supposedly the far future, he learns about a disease that’s going to wipe out most of modern earth’s population. Because he knows things he has no business knowing on modern earth, he’s hunted down by an assassin. The world building is fascinating, and I love the sensory description. It makes you wonder how Eden actually looked and how complete union with God actually felt. It makes you realize how much humanity is missing because of the Fall. This book had plenty of action, with martial arts, chases down alleys, kidnappings, and of course, the creepy bats, and it was interspersed with a few humorous scenes that made me laugh. 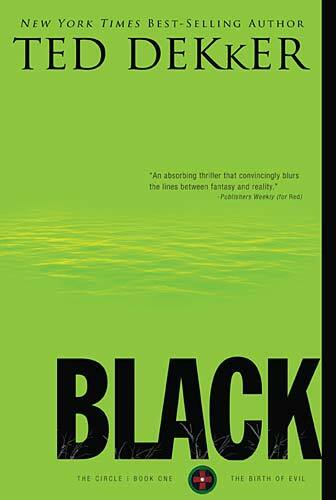 The beginning was intriguing, but the best part of the book is when you’re deep into the plot, so if you do happen to pick up this book, make sure to stick with it. 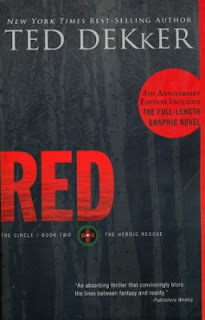 In Red by Ted Dekker, what really hooked me about this book was the new life it breathed on the Bible and its message. The plots in both worlds were intriguing and suspenseful, but the new perspective this book has given me is so much more memorable. We've finally reached a new year, so what have you learned about God’s nature in 2016? How has your understanding of Him changed in the past year? Any suggestions for fantasy books or book you'd like to see reviewed? Feel free to tell me about them in the comments! Thanks for reviewing these! I have looked at them several times but couldn't decide if I wanted to get the series. Thanks!